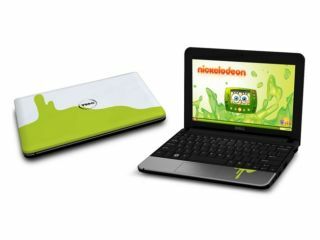 In something of an unusual marketing strategy, Dell founder Michael Dell has criticised netbooks – insisting that after a honeymoon period, most laptop users are desperate to get back to a big screen and fast processor. Dell's 'mini' series has done well for the company in the netbook arena, but it appears that Michael Dell is not a big fan. "If you take a user who's used to a 14- or 15-inch notebook and you say 'Here's a 10-inch netbook,' they're gonna say 'Hey, this is so fantastic. It's so cute. It's so light. I love it,'" said Dell. "But about 36 hours later, they're saying 'The screen's gonna have to go. Give me my 15-inch screen back'. "We see a fair amount of customers not really being that satisfied with the smaller screen and the lower performance - unless it's like a secondary machine or it's a very first machine and the expectations are low," he added. "As a replacement machine for an experienced user, it's not what we'd recommend. It's not a good experience, and we don't see users very happy with those." Obviously there is a greater profit in full-size-laptops, but Dell's comments certainly ring true.